I couldn’t help but want to make something awesome! Finally I am putting my lifetime supply of my scrapbooking hoard to good use. I got the Cricut fired up and whipped out a cute Disney sign with super sparkly silver glitter paper. I used the Cricut Mickey Mouse Font for the other words and I used the Cricut Mickey head shape for where I wrote the numbers on. Last time I made one I ended up stamping on the numbers. This time I decided to just hand do them as I had a silver paint pen that I wanted to use to match the rest of the silver theme I had going on. As soon as I started to do them tho I was having anxiety as my Mz perfectionist side flared up. Getting the numbers to look totally perfect was not going to happen. But I think they ended up coming out pretty good and I got the neat silver effect that I really wanted. And that made me very happy overall with how the whole thing looked. I used scrapbook paper, glue sticks, a silver paint pen and my Cricut. 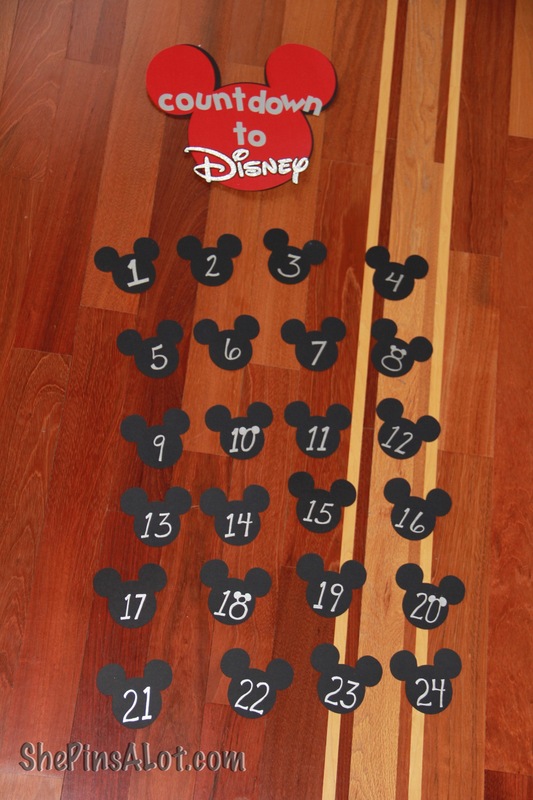 The colors and ideas are endless for coming up with the Disney countdown for your family! Searching Pinterest for Disney Countdown will show you a whole bunch of them. I also found that searching for both Disney world and Disneyland brought up a lot more ideas. 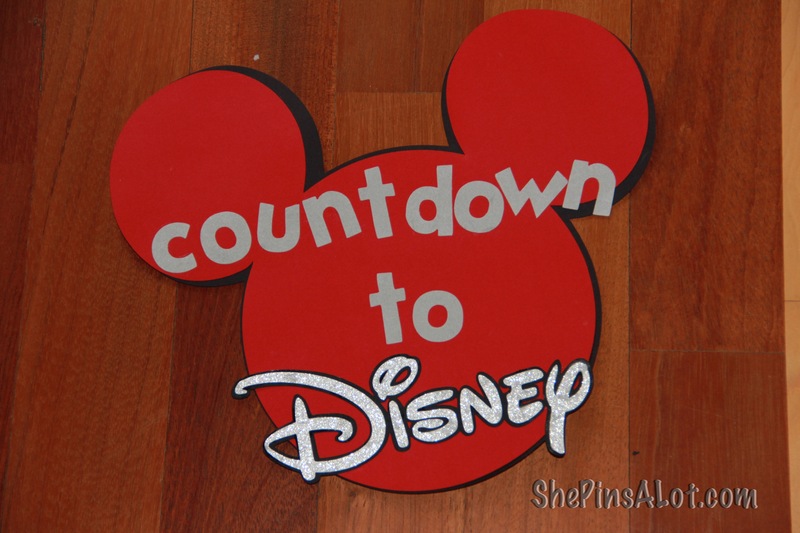 Previous postDisney Cruise Countdown Project! Next postCub Scouts Cake Auction! Love the hidden Mickeys on the numbers! So clever!